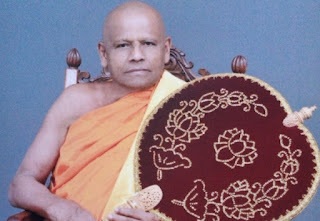 Venerable Warakagoda Gnanaratana Thera of Muthiyangana Rajamaha Viharaya, Badulla was appointed as the Chief Prelate of the Asgiriya Chapter of Siam Sector a short while ago. The election was held at the Mangala Uposathagaraya of the Asgiriya temple. The position of Asgiriya Mahanayake was vacated after the passing away of the former Mahanayake Galagama Sri Attadassi Thera recently. Gnanaratana Thera functioned as one of the two Anunayakas before his appointment as the Mahanayaka today.